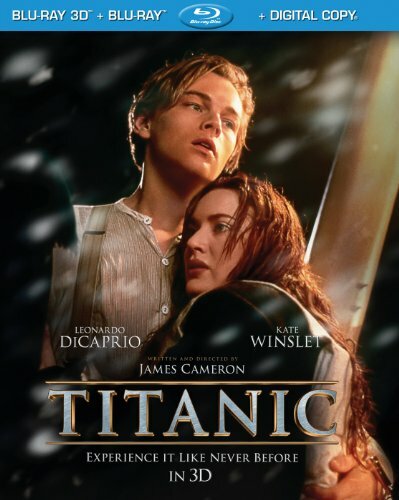 LOS ANGELES, CA (May 31, 2012) - The two billion-dollar box office phenomenon and winner of 11 Academy Awards(R), Titanic , makes its highly anticipated debut on Blu-ray 2D and 3D on September 14, 2012 from Paramount Home Media Distribution and Twentieth Century Fox Home Entertainment. Available in high definition for the first time ever, James Cameron's timeless and unforgettable tour de force will be presented in stunning 2D and 3D, providing a cinematic in-home experience of Titanic like never before. Marking 101 years ago today that the RMS Titanic was launched into the Belfast Lough, film fans worldwide can now pre-order the epic love story on Blu-ray 2D or Blu-ray 3D(TM) with participating online retailers. James Cameron commented, "Blu-ray extends Titanic 's immersive 3D theatrical experience into audiences' homes, where their living room becomes the backdrop for big spectacular environments and intense action, as well as profoundly intimate human moments, allowing generations of fans--new and old--to truly become part of the movie like never before." Presented in a four-disc 2D Blu-ray/DVD combo pack with Digital Copy or, for the ultimate experience in fully immersive 3D, in a four-disc Blu-ray 3D and 2D combo pack with Digital Copy, this high-definition presentation of Titanic is a must have for film fans' home media collections. Both sets feature more than 2 1/2 hours of new bonus footage never-before-released on disc, including a fascinating in-depth exploration of the film with James Cameron, as well as documentary footage produced by National Geographic with James Cameron that brings the world's leading RMS Titanic experts together to solve the lingering mysteries of why and how the "unsinkable" ship sank. Starring Leonardo DiCaprio and Kate Winslet in the roles that would make them global stars, Titanic tells the story of the epic romance between two star-crossed lovers set against the backdrop of the legendary and ill-fated maiden voyage of the "ship of dreams." * Titanic: The Final Word with James Cameron--NEW!